With the KidsFit 614 Standing Dual Action Core Trainer makes kids use their whole body to pivot swivel and engage core muscles. The KidsFit 614 Standing Dual Action Core Trainer also simultaneously makes them use the upper body ergometer to create a cardiovascular or fat burning workout. This core trainer is designed for ages 8 years and older. Call 1-800-875-9145 to speak with one of our fitness advisors with any questions you may have. Go to FitnessZone.com today to order your KidsFit 614 Standing Dual Action Core Trainer. 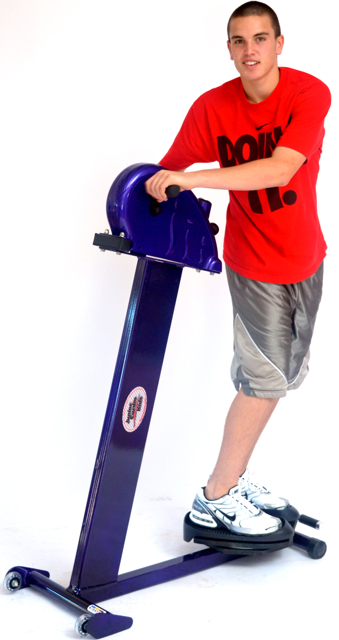 Order your KidsFit 614 Standing Dual Action Core Trainer from FitnessZone.com today!